Come and enjoy a Chakra Balance treatment for half price! A full 30 minute treatment for £10. Soul Essence runs a monthly meditation group on the first Wednesday of the month. There was no event first week of January and there will be no event February. Our next events are 7th September and 4th October Space is limited; please contact me if you are interested in joining us. Soul Essence organises Pamper Days and Evenings where you can have mini/taster sessions for 20 or 30 minutes, costing between £10 and £15. We also organise a monthly event on the first Saturday, again admission is free, at the Temple URC, St Mary Cray High Street, Orpington Kent BR5 4AX. First appointment 10:30 am last appointment 3 pm. Contact or visit for more information and details of our Pamper Package, 3 treatments at the same event with different therapists for £30. Can be shared between friends and family. We are extending the offer to all events. Voucher valid for 6 months from the date of purchase. Let’s face it, we are all in a relative state of distress. We feel sad, anxious, dissatisfied. We yearn for a happier and an easier life, but often look in the wrong places and end up disappointed because we don’t understand our real needs. We want to feel ‘right’ and for things to ‘make sense’, yet most of the time we don’t realise what we are yearning for is our true core self. We can think of our core as our authentic state of being before the impact of our life experiences and childhood conditioning took us away from it. It is the truth of who we are. Place of oneness with all that is, a place of unconditional love, compassion, wisdom, joy, peace, contentment and healing. We first experience a painful separation from our core as babies when we realise we are separate from unconditional love. We experience the imperfection of our parents, who can’t give us unconditional love. But felt even more deeply is the separation of from the unconditional love of the divine. The source from which we came. Before we had the words to name it, or the reasoning to understand it, we suffered this most cataclysmic experience. This is called our core wound. Connecting with your core taps into a well of spiritual energy which will nourish and enhance all parts of your life. Every resource we might ever need is found there, already within us. Take a second to let that sink in. How could that realisation transform your life? When connected to your core, life flows effortlessly. You feel more comfortable in your own skin. You begin to love and trust yourself and to perceive the world as a more supportive, enjoyable place. Regular contact with your core creates a gradual shift to higher level of consciousness. Our greatest and deepest longing is to return to a place of wholeness, to return to our core. Soul Essence attends various Pamper Events and Parties. I also attend various other events some supporting charities and Schools for more information on these email me and I will pass it on to the organiser. 28th June Non Charity event – West Kingsdown Village Hall from 4pm to 8pm. 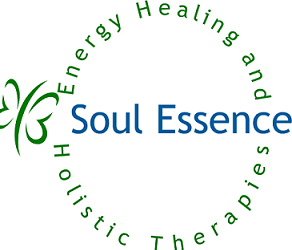 Welcome to Soul Essence in New Eltham serving South East London and North Kent area. I offer a variety of alternative therapies to help you relax, deal with pain, stress, depression, panic attacks, anxiety and addictions. Or you may just want some pampering to help increase your vitality. Come and enjoy a Chakra Balance treatment in April for less than half price! A full 30 minute treatment for £10. 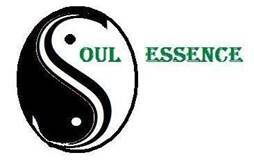 Soul Essence runs a monthly meditation group on the first Wednesday of the month. Our next event is 6th May 2015. Space is limited; please contact me if you are interested in joining us. Savage Room All Saints Church Hall SE9 3TZ. There will also be a meditation workshop being run in the next couple of months. This will start at 10 am and finish at 16:30. Date to be finalised. Please let me know if you are interested. Because this is my first workshop the cost will be an introductory price of £40. Future workshops will cost £60. I plan on running the meditation workshop every two to three months, with other workshops in between. We also organise a monthly event on the first Saturday, again admission is free, at the Temple URC, St Mary Cray High Street, Orpington Kent BR5 4AX. First appointment 10:30 am last appointment 3 pm. Contact or visit for more information and details of our Pamper Package, 3 treatments at the same event for £30. Our Chakras absorb energy from the environment, our thoughts and our feelings. Negative energy over time can affect the Chakras which in turn can affect our health. It is important to keep our Chakras balanced to help deal with the negative influences in our lives which may sometimes be hard to avoid. However changing our feelings from negative to positive can help protect ourselves from negative energy in the environment. Chakras are both complex and fascinating. The root chakra is often thought of as providing energy to other chakras, so if it’s blocked or unbalanced, your other chakras are likely to be as well. Just like a building, making sure that your chakras have a firm foundation—with a balanced root chakra—is crucial to having a healthy, open chakra system. Begin to feel confident, stable and physically alive as you tap into your own renewable energy via a balanced root chakra. Although there are hundreds of chakras spinning ideally in a clockwise direction, there are seven major ones, attracting healthy energy for us to absorb, while at the same time, throwing off negative energy we no longer need. The healthier the chakra, the more energy we attract. The more energy we attract and hold on to, the healthier and stronger and happier we can be. A healthy chakra is one that is spinning rapidly in a clockwise direction, with no blocks to stop the flow of the Chi or Prana (Universal Energy or Life Force) that we need to live. Chakras, however are not always healthy, and for the most part are forever changing. The state of the chakras depends on many different factors, such as lifestyle, thought patterns, emotional history and past life history as well. As one moves through life and its experiences, the chakras are absorbing the effects. Chakra balancing addresses both the body and spirit. On a physical level, clearing the chakras heal the physical body by releasing stored blocks accumulated through a lifetime of traumas and negative experiences. Once these blocks are gone, the body can return to its original natural state of perfect health and the results will be readily noticed. Come and enjoy a Chakra Balance treatment in April for half price! A full 30 minute treatment for £10. Soul Essence runs a monthly meditation group on the first Wednesday of the month. There was no event first week of January and there will be no event February. Our next event is 4th March 2015 Space is limited; please contact me if you are interested in joining us. For more information read the article below. Any body can learn to meditate. All it takes is patience and perseverance. You don’t have to be religious or into any new age philosophy. When you decide to give it a go, you need to create the right conditions. It would be ideal to set aside a room which is kept for meditation only, so the spiritual energy you generate can build up and cleanse the room. However, this is the ideal and if you are unable to have the luxury of a separate meditation room choose a space perhaps in the corner of your bedroom, where you can sit and meditate without being disturbed. The area ideally will be simply furnished; all you need is an upright chair (not an armchair or comfy chair) and a table. Keep the space/room neat and tidy; open the window frequently to let fresh air circulate to cleanse it. Decorate with uplifting pictures, perhaps some crystals, candles, fresh flowers and some relaxing music in the background. This is your special place, your sanctuary. Try to make time to meditate for 15 minutes morning or evening to start, increasing to 30 minutes or more when you become more experienced. The quality of the meditation is far more important than the quantity. Early morning is generally considered the best time for meditation, before you become absorbed in the business of the day. Choose a time which suits you and stick to it. Regular practise helps to condition and train the brain/mind. The more you meditate the easier it becomes. There are different levels of the mind, caused by the different brainwaves explained below. Beta is associated with our waking activity. During a day we experience all the brainwave patterns with a predominance of Beta. The first pattern discovered in 1908 by an Austrian Psychiatrist named Hans Berger. Alpha pattern appears when in wakefulness where there is a relaxed and effortless alertness. Light meditation and day dreaming. It is recommended practicing your creative visualization and auto-suggestion technique in alpha state. Associated with creativity, dreams and Extra-sensory perception for the student the theta state is something to learn to go at will. To obtain these different levels you have to quiet the mind by concentrating on a mantra or your breathing. The times you feel most resistant to meditating is the time your body will need it the most. Meditation puts you in contact with the things that are buried in the unconscious mind. The reason we bring our subconscious painful memories to the surface is because they are affecting our lives today. Just because we do not remember them does not mean they are not influencing our lives. Many of the beliefs upon which we run our lives rest on decisions we made as a child. Meditation can help you work through and overcome fears that stop us being our true selves. Meditation also helps you find that place within where you feel calm and peaceful at all times, even when life is tough. You will feel happier, be able to make changes when you want to, accept and be in the present and plan for you future. A study of health insurance statistics of 2000 people practising meditation consistently over a five year period revealed that their rate of hospitalisation was less than half of the other groups with comparable age, gender, profession, and insurance terms. Meditators also had fewer incidents of illness in 17 medical treatment categories. Some of the results were quite outstanding; 87% less admissions for cardiovascular disease, 55% less cancer, 87% less for diseases of the nervous system, 73% less for nose throat and lung problems. Psychosomatic Medicine 1987. At the Harvard Medical School Dr. Herbert Benson found that meditators develop what he calls the “relaxation response” to difficult or dangerous situations. This is a much healthier response than the very common “fight or flight” reaction. He also observed that during meditation the heart rate decreases on average by three beats a minute, and that the rate of breathing also decreases. The blood pressure of those who have high blood pressure is reduced during meditation. Dr.Benson found that all the traditional methods of meditation evoke this response. He also found that four basic elements are needed. They are a quiet environment, an object for the attention to dwell on, a comfortable posture and, above all a non-discriminatory attitude towards meditation. This is exactly what the Buddha taught two thousand five hundred years ago. A study group of long-term meditators (practising meditation for five years or more) were physiologically twelve years younger than their chronological age, as measured by reduction of blood pressure, and better near-point vision and auditory discrimination. Short-term meditators were physiologically five years younger than their chronological age. The study controlled for the effects of diet and exercise. International Journal of Neuroscience 1982. Come and enjoy a relaxing Natural Face treatment in March for half price! A full 45 minute treatment for £15. Can be shared between friends and family. Only available to buy at the Feb, Mar and Apr events. Valid for 6 months from the date of purchase. The healing and repairing properties of the snails slime, which is harvested without harming the snails, the mucus from the snails is collected as they crawl over special glass and plastic surfaces. The discovery was made by chance when the Chilean snail farmers noticed their hands healed more quickly without any scars and were very soft and smooth to the touch. The natural extract Helix Aspersia Muller the unique substance the snail produces to quickly regenerate its own shell and skin, contains a balance of beneficial substances which include glycolic acid, collagen, elastin, allantonin, vitamins and minerals. A proven stimulant for skin regeneration – also effective for healing, smoothing and anti-irritation – that works by increasing water content and strengthening cell structure. These are structural proteins that bond skin tissue, nurture skin and improve its appearance. Collagen gives connective tissue and organs rigidity so they can function, and elastin lets them stretch and return to their original state. Contribute to the constant regeneration of skin while also acting as anti-inflammatory agents. Dr Organic snail gel is mixed with Aloe Vera which is very cooling and helps to reduce redness in the skin and it also contains lemongrass which gives it a lovely lemon smell. The gel feels instantly cooling and refreshing on the skin and it is a freshness that lasts and the lemon scent is very awakening. …that every day is a New Beginning. A new cycle begins this day, yet a new cycle begins every day. Indeed, every moment. So if you recognise anything on this day, recognise what it symbolises: The miracle of the endlessly continuing Cycle of Life. What a grand day! What a time for celebration! We begin again today! We turn the page! And so, let go of all that you do not wish to carry with you any further. Any fear, any sadness, any anger, any resentment, any disappointment, any lament…let it all go. And now, using the specialness of this day as a springboard, let’s get on with Life! Come and enjoy a relaxing Natural Lift Face Massage in February for half price! A full 45 minute treatment for £15. Soul Essence runs a monthly meditation group on the first Wednesday of the month. There was no event first week of January and there will be no event February. Our next event is 4th March 2015 Space is limited; please contact me you are interested in joining us. Soul Essence organises Pamper Days and Evenings where .you can have mini/taster sessions for 20 or 30 minutes, costing between £10 and £15. ….that it’s okay to make mistakes. Mistakes are our friends — they help us to grow. Actually, it is impossible to make a ‘mistake’ in real terms, since everything that we call a ‘mistake’ actually brings us benefit. Rather, worry about being afraid not to make any.